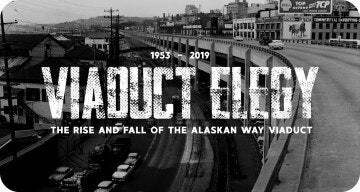 Since the beginning of motoring, the convertible lingered long before the sport utility, minivan or crossover captured buzz. In modern times, the convertible is a type of freedom symbol allowing the confides of everyday responsibilities and routines to slip away temporarily. As the mercury rises, as temperatures spike, the choices for fashion open up to embracing the more refreshing outdoor weather. For the world of automobiles, the warmer summertime climate ushers away the cocoon of so many closed cabin vehicles. 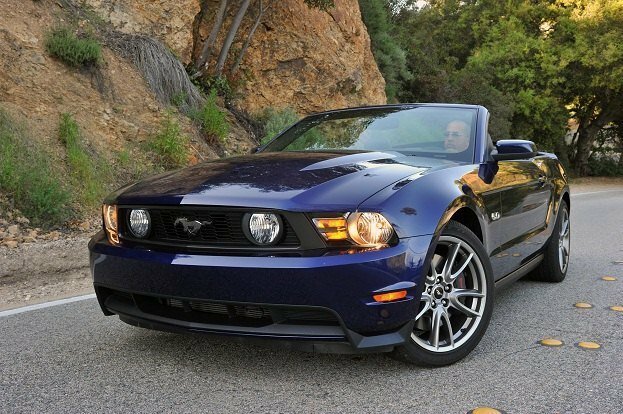 For 2011, the latest crop of liberating drop tops could become a companion to a holiday weekend memory. Mobilizing the youth of North America thought the 1960s when gasoline was cheap and cross-country trips were a common theme during the warmer months, the Ford Mustang Convertible continues to remain a rather accessible dream machine. Though the more the ample momentum of the Ford’s 3.7 liter V-6 powerplant will grant any summer weekend adventurer the soul of American-style, top-down riding, the intense gallop of 412 horsepower of the Ford Mustang GT Convertible provides an even more aggressive stride towards good times. Backing up the full-hearted performance with classic American muscle car appearances, the Mustang GT Convertible also combines the benefits of 21st century enjoyment including Ford SYNC. A voice-activated navigation system is also available to assure maximum vacation time rather than devoted to constant map reading. A budding new creation of Chrysler’s fleet wide makeover, the “Imported from Detroit” convertible version of the Chrysler 200 reflects on past staples of American elegance. 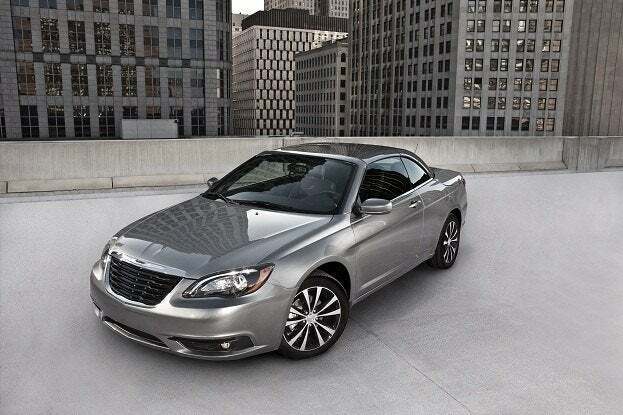 The 2011 Chrysler 200 is not only the sole existing convertible in the auto manufacturer’s product portfolio but it is the brand’s only two-door vehicle. Charming with a premium ride and luxury, the 200 convertible most amusing characteristic is a base price under $30,000 US. A big chrome grille topped by a pronounced emblem, the all-new Chrysler 200 convertible features the tasteful sheltering of either a soft or a hard top. Inside, an available voice-activated media center features a 30-gigabyte hard drive sound system that includes nationwide coverage of a Sirius satellite radio as well as Sirius Travel Link. Standard power comes from a 2.4 liter World Gas Engine, the best cruising enjoyment will be partaken when the 283 horsepower Pentastar V-6 powerplant drives your holiday. 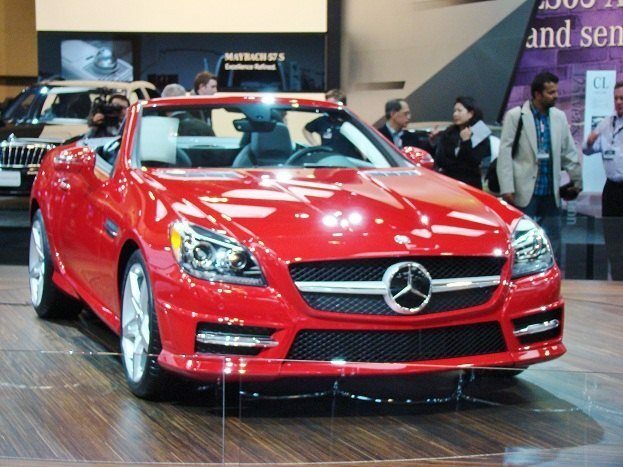 Just in time to take advantage of the warm, convertible weather, the brand new Mercedes-Benz SLK enters the North American marketplace presenting more than one option to enjoying (or hiding) from the weather. On ideal days, the open-air roadster providing up to 302 horsepower to delightfully navigate through a scenic country drive. The driver, as well as passenger, rides inside of a cabin decked with brushed aluminum trim accents and optional sun reflective leather. On less than perfect days, Mercedes-Benz SLK owner came either seek the cover of a coupe-like hard top or a tinted glass vario-roof. A high-tech new option is MAGIC SKY CONTROL interacts with crystals embedded in a glass panel to variably regulate the amount of light shining through to the interior. An Italian auto company under the Fiat umbrella, Maserati’s best efforts frequently buried under the achievements of Lamborghini and fellow Fiat brand Ferrari. Giving worthwhile recognition with subtle yet lavish Pininfarina styling, the personal luxury coupe Masersati GranTurismo blew its top in 2010. The Maserati GranTurismo convertible rushes down the streets of Rodeo Drive or a Sunday cruise with a pair of 400-plus horsepower V-8 engines. 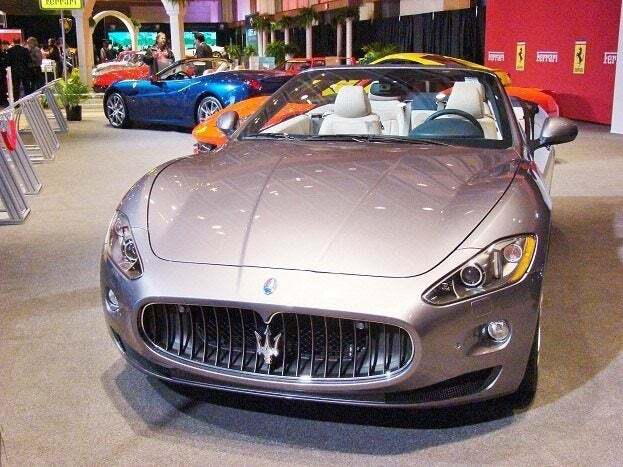 Featuring a 6-speed automatic transmission and adaptive Skyhook suspension, the Maserati GranTurismo convertible delivers the open-air motoring that can be expected from a $136,300 vehicle. A 2+2 convertible the configuration allows the driver to be generous to three passengers (however, one choice passenger can be liberated from the less catered rear seating). So your weekend getaway doesn’t prescribe to an easy drive to a resort, the Porsche sports car line-up is infused with the ideal ingredients for an adrenaline-seeking few days. 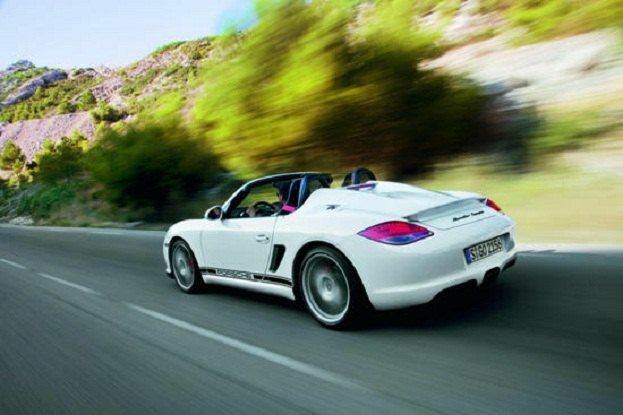 Led by 320 horsepower, the Porsche Boxster Spyder is specially built as a reaction to pure sports car fans. A slimmed down by 167 pounds compared to the Boxster S, the Porsche Boxster Spyder launches in only 4.9 seconds with a 6-speed manual or as little as 4.6 seconds when equipped with a Sport Chrono Package Plus fitted to a PDK (Porsche Doppelkupplung) transmission. The comfort accessories coming standard on the Porsche Boxster Spyder are kept scarce for the purpose to honour the raw performance dynasty. For times when weather begins to interrupt the fine driving experience, there is only a basic soft top without the fancy automatic operation. 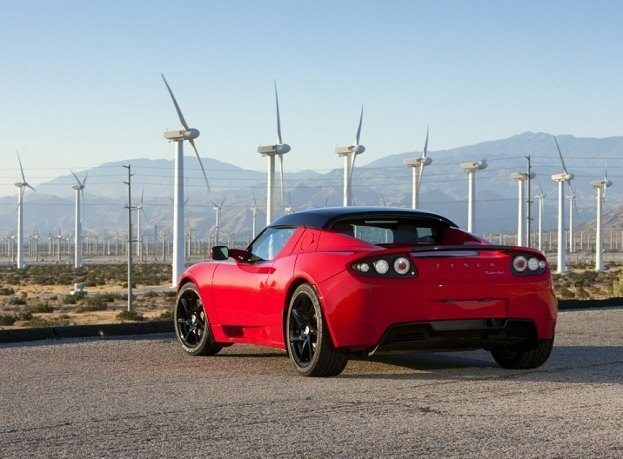 Granting not only a connection with the wind flowing over separated by an aerodynamic pocket, the Tesla Roadster 2.5 merges the driver into 125 mile per hour motoring with hardly a peep. Powered by an air-cooled 375-volt AC Induction electric motor, a driver and passenger of the Tesla Roadster 2.5 advanced powertrain equating to 288 horsepower is matched with striking exotic car looks. Currently the only popular all-electric sports car on the market, the Tesla Roadster 2.5 consists of a newly prepped interior and exterior introduced mid-last year. A two-seat performance roadster that will still capture attention despite its silence, the driving experience will be somewhat more limited when it comes to distance. Range for the Tesla Roadster 2.5 is slated to as much as 245 miles. No Comments on "The Sunshine Gang: Top Convertibles for 2011"